They are not very similar on the face of it, but in many ways, gem fairs are very much like Ikea. Very big, full of products of very varying quality and many, many opportunities to get side-tracked. Someone once told me that when you go through Ikea you should always say to yourself ‘it’s nice, but do I want it in my house?’ Except in my case it’s more a case of ‘it’s nice but do I want it in my shop?’ Because if you’re not careful you end up with the gemstone equivalent of the giant potato masher made of flimsy metal so it bends on the first attempt. Or the dirt cheap draining rack that collapses/tips over when a quarter full etc.. So whilst it’s lovely to browse and look out new suppliers and products, it’s wise to take a list and make some attempt to stick to it. Anyway, the road to hell and all that – I ignored my own advice and bought a whole load of new things I’d never intended to buy. First of all, pearls. 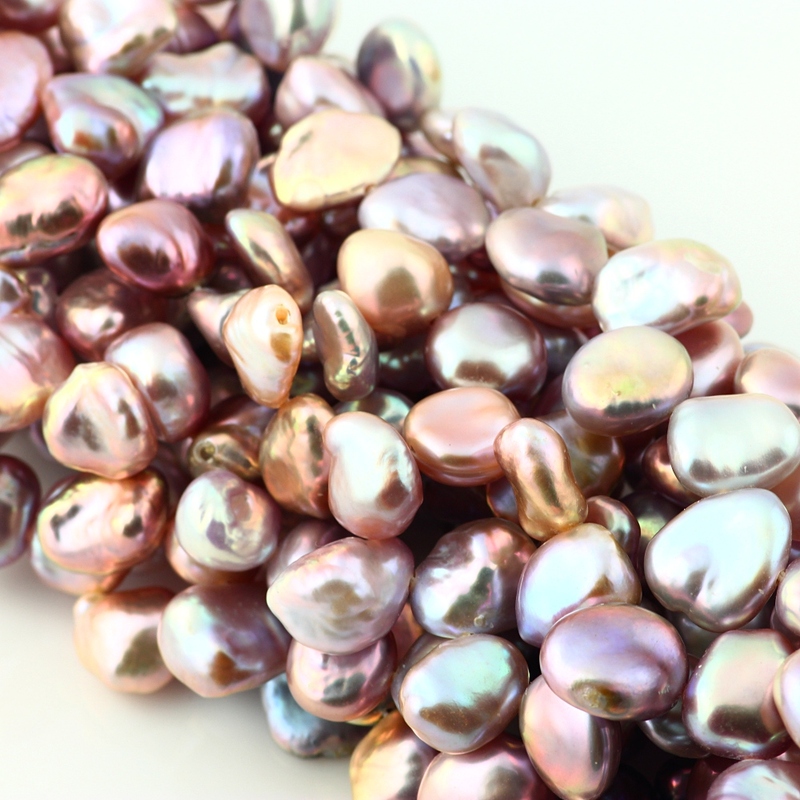 I went with the intention of just stocking up on some kes hi purple pearls. The pearl section is absolutely mad; row upon row of suppliers selling what appears to be identical trays of pearls. How to begin?!! Well, I spent hours in there, looking through the stock in very great detail and I did get the purple keshi, but I got an awful lot more as well. First of all I bought these gorgeous pink peanut pearls (above left). I just fell utterly in love with them – such a pleasing, round organic shape and fantastic lustre. I’ve got them in whit e as well (right) and you can find the pink ones here and the white ones here. 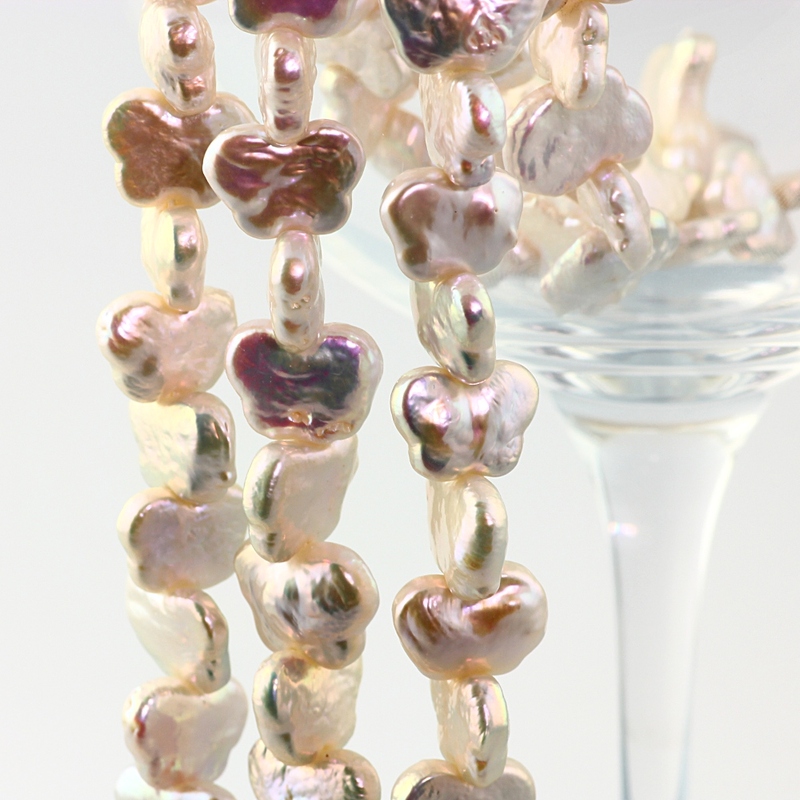 They look great around a neck – the pearls just kind of naturally jostle themselves into position. I also could not resist these very pretty butterfly Biwa-type pearls. Not actual proper Biwa pearls but in that style with the superb high lustre you would expect. I have these top drilled and side drilled. These are really fun and I can see the top drilled ones working really well as earrings and the side-drilled ones in a necklace, brilliant for children as well. Find them here. I am a Hong Kong based professional gemstone supplier and GIA graduate gemologist. I specialise in rose cut cabochons as well as standard cabochons, and I have a carefully nurtured reputation for high quality. Currently I carry mainly semi-precious stones and I also have a range of pearls in white and natural colours; strings and half-drilled, round and keshi. This blog is attached to my website - www.joopygems.com - and is where you'll find information about new arrivals in my shop, discounts and offers, as well as an opportunity to leave comments and feedback.